Losing browsing history on your iPad is one of the most frustrating problems you can experience. This is especially true if you don’t have a backup of the data on the device. This text will show you 3 ways to help you view browsing history on iPad after deleted. When you delete data on you iPad, the data is not automatically deleted from the device, the iPad simply marks the space occupied by the data on the iPad’s hard drive as unrecoverable. 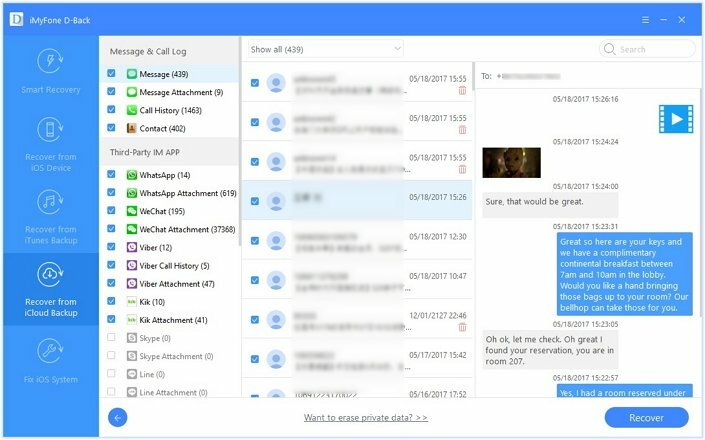 This means that whatever data has been deleted is not completely gone, and therefore can be retrieved with the right tool. But the data can only be retrieved if it has not already been overwritten. You can avoid overwriting the deleted data by avoiding using the device as soon as you discover the data is missing. Adding new data on the device can overwrite the missing data by occupying the “Unallocated” space. iMyFone D-Back can help you scan the iPad to recover the missing browsing history. 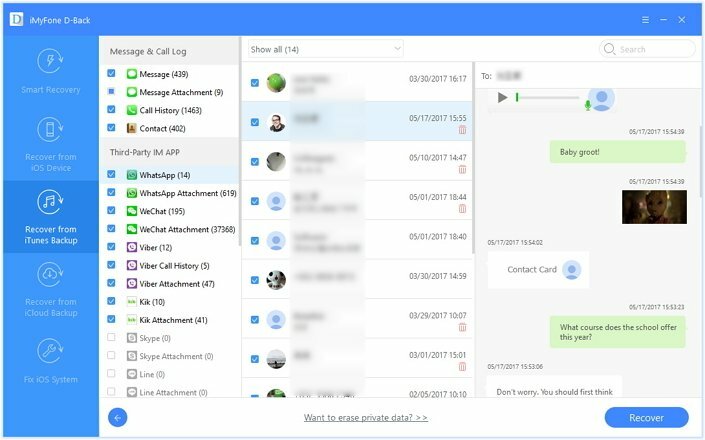 It enables users to easily scan any iPad for missing data and it can recover up to 22 different types of data even if you don’t have a backup of the data on your device. 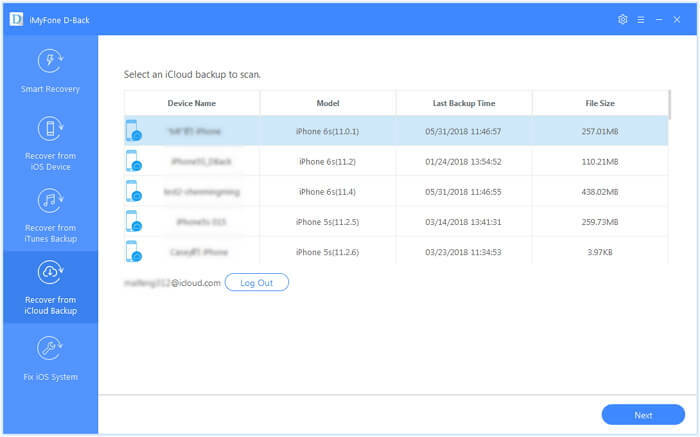 It goes a step further to allow you to easily scan your iCloud or iTunes backup to get your data from a backup without having to restore the device. Step 2. In the next window, select the type of data you would like to recover. If you want to recover all data, ensure “Select All” is checked. Click “Next” to continue. Step 3. Once the scanning process is complete, select the files you want to recover in the results page and then click “Recover” to save the recovered data to your computer. You can click “Show only Deleted Files” to filter the results and get a list of only the recovered data. Step 2. 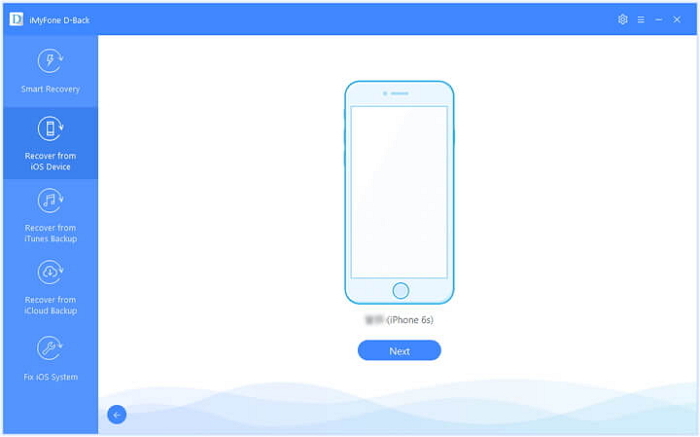 Select the most relevant backup and then click “Restore.” Wait for the process to finish and ensure that you keep the device connected to the device until the process is complete. In order to get your data back, you must have a backup of the data in iTunes. Without an actual backup of the data in iTunes, you will not be able to recover any data. If you choose to restore the iPad in iTunes, you should know that all contents and settings will be erased during the restore process. 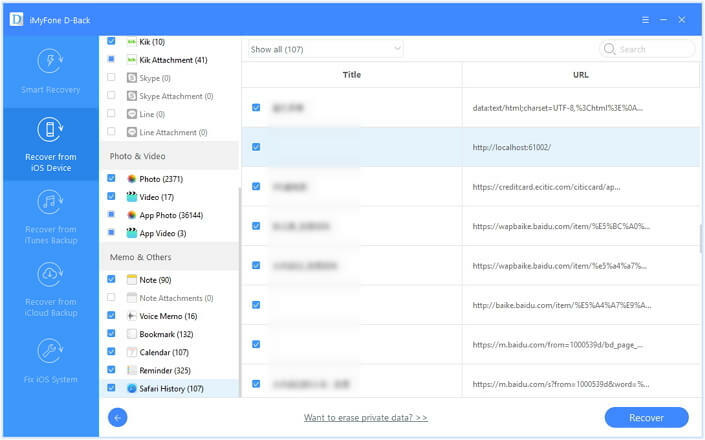 This means that all new photos, videos, messages, contacts and more that were not included in the backup will be deleted permanently and are unrecoverable. You are also not able to see the contents of the backup file until the restore process is complete. This means you won’t be able to selectively recover some of the data. Step 1. Select “Recover from iTunes Backup” in the main window and then click “Start.” Select the most relevant backup file from the list of backups in the next window and click “Next”. Step 2. Proceed to choose the type of data you would like to recover and then click “Scan”. Step 3. Finally, choose the files you want to recover from the results page and then click “Recover” to save them to your computer. Step 1. 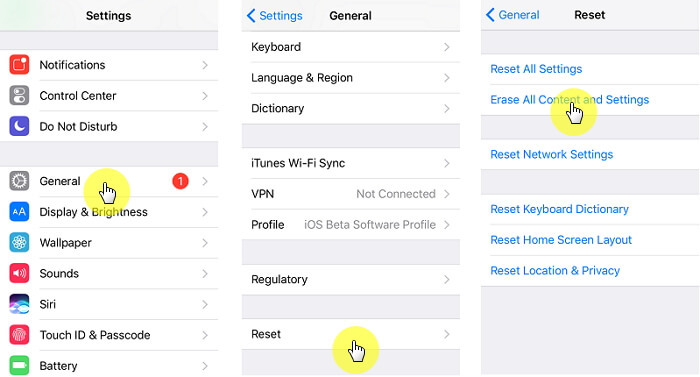 Begin by going to Settings > General > Reset > Erase All Content and Settings. This should erase all the data on the device and take you to the set-up page. Step 2. Follow the setup assistant prompts until you get to the Apps & Data Screen. 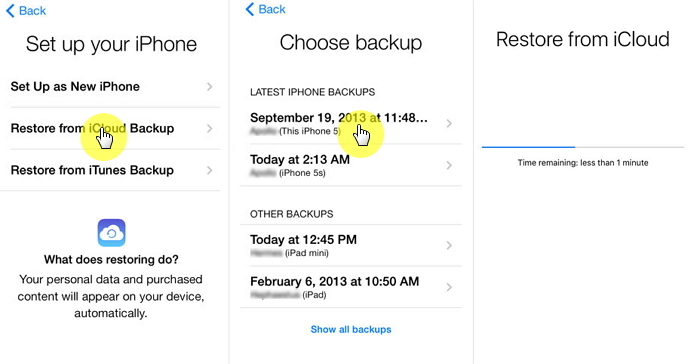 Here, select “Restore from iCloud Backup.” Sign in to iCloud and select the most relevant backup. Then stay connected to the Wi-Fi network until the process is complete. All the content and data on the device will be deleted during the restore process. 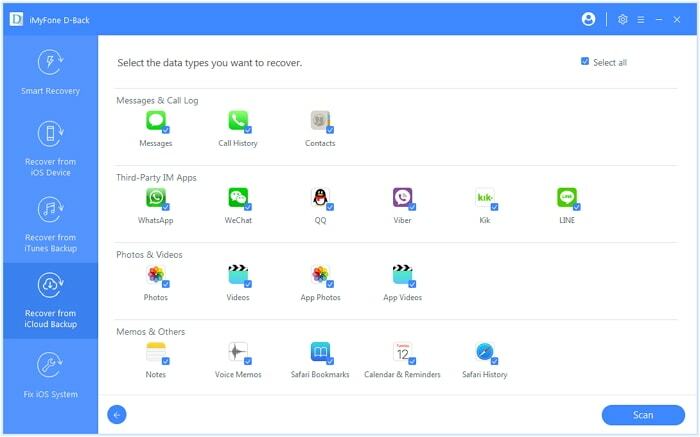 This means that any new photos, videos, contacts, message and any other newly added data will be removed from the device and will be completely unrecoverable. 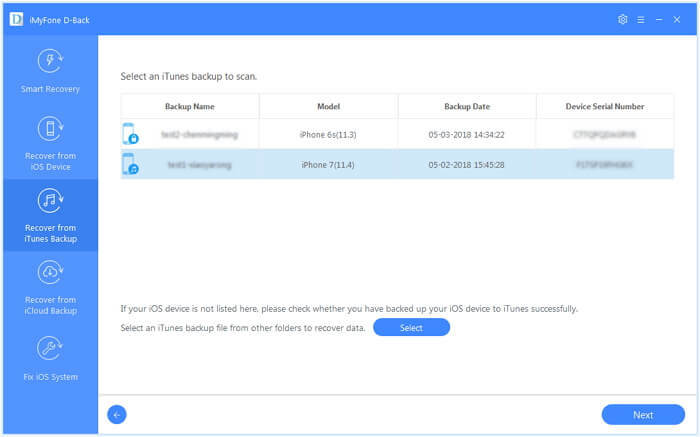 You are also unable to see the content of the iCloud backup file, making it very difficult to selectively recover data from the iCloud backup. Step 1. 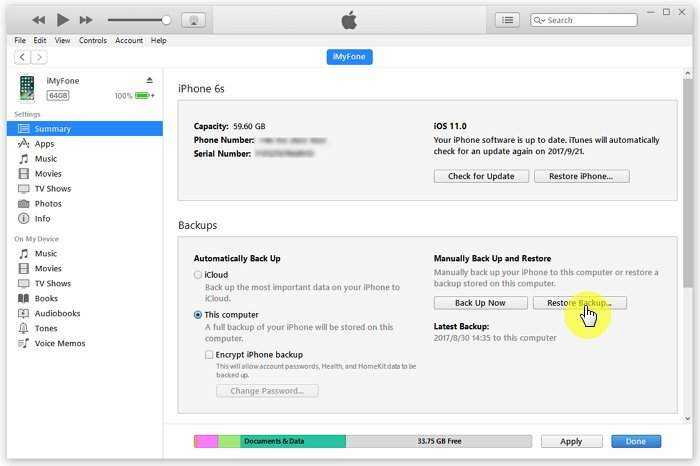 From the main window, choose “Recover from iCloud Backup” and click “Start.”Sign in to iCloud to access the iCloud backup files. Once signed in, select a backup file from the list and then click “Next” to proceed. Step 2. Then, in the next window, choose the type of data you want to recover. You can check “Select All” if you would like to recover all types of data. Click “Next” to allow the program to download and scan the file. Step 3. You should then see all the files in that backup file in the next window. Select the ones you would like to recover and then click “Recover.” Choose a location on your computer to save the recovered files that you can then transfer back to your iPad when you need to.